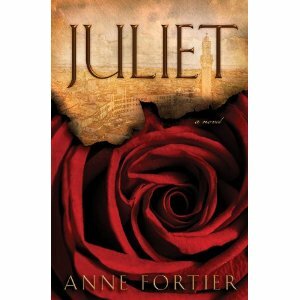 My friend Joan recommended Juliet by Anne Fortier and I’m so glad she did! Who doesn’t know the famous story of Romeo and Juliet? This mystery novel offers an entirely new spin on the origin of the famous story of crossed lovers. Set in modern times, the book begins with polar opposite twin sisters who have come together to bury the aunt who raised them in the U.S. after their parent’s demise years earlier in Italy. Late Aunt Rose leaves one of the twins the house and the other a mysterious message about a treasure in Italy and a key. The story shifts back and forth between Siena in 1340 and modern times. It took me a while to acclimate myself to this, but the story was so cleverly written that I found I could not put it down. After the main character Julie discovers her ancestral connection to Giulietta Tolomei, the original Juliet, it is only a matter of time before she begins to unravel the past with the aid of hidden clues left to her by her deceased mother. Will Juliet find her Romeo and live happily ever after this time around? Read this book! I loved it! This entry was posted in Uncategorized and tagged Anne Fortier, Books, Italy, Juliet, myteries, Romeo and Juliet, Shakespeare, Siena. Bookmark the permalink.